Graphene, a kind of new material, is still being developed and ready to be commercialized for the moment. Many countries are zealously competing for patents. In 2017, there were a total of 13,371 patent filings about graphene worldwide, an upsurge of 30.7% over the previous year, and with a CAGR of 60.9% between 2010 and 2017. Although with a small size, the graphene industry is progressing apace. Before reaching nearly USD200 million in 2018, global graphene market size stood at roughly USD85 million in 2017, soaring by 84.8% year on year inasmuch as graphene found massive application in fields like anticorrosive paint and energy storage over the past two years, and is expected to surpass USD1 billion in 2023 in the wake of progresses in R&D technologies and application. China ranks first by comprehensive strength in global graphene industry. The graphene market of China was recorded at RMB127 million (approximately USD18.81 million by an exchange rate of 1 dollar to 6.75 yuan) in 2017, a year-on-year upsurge of 69.3%, taking a 22.1% share in global market, and will climb to estimated RMB230 million in 2018 and outnumber RMB1.3 billion in 2023 with the support from national policies and a growing number of new entrants in the graphene sector. Graphene gets utilized primarily in lithium battery and super capacitor currently in China. In 2017, the demand for graphene from lithium battery comprised more than 50.0% of the total, but will see a decreasing proportion in the future as graphene is increasingly used in new energy, composite materials, wearables, thermal management, energy conservation and environmental protection. The global graphene manufacturers cluster in UK, China and the United States. Among them, China boasts the most manufacturers, namely over 4,000 ones, but most of which are small start-ups, while medium and large-sized enterprises mainly include Moxi Group, The Sixth Element (Changzhou) Materials Technology, 2D Carbon (Changzhou) Tech, Der Future Science & Technology, and Qingdao HaoXin New Energy Technology. 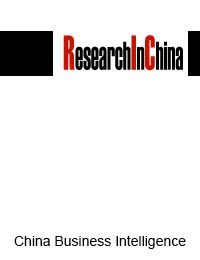 Now, Chinese graphene market is highly concentrated, with the CR5 of 58.7% in 2017. As the largest producer of graphene in China, Moxi Group have subsidiaries like Ningbo Morsh Technology and Chongqing Graphene Tech. In 2017, it seized the market share of 23.4%.